Many people dismiss the wildlife value of domestic gardens, describing them as artificial, full of introduced plants and managed by intrusive management practices. While it is true that we manage gardens for our own ends (and that they contain a high proportion of introduced plant species) it is worth remembering that much of our countryside is also heavily managed, as our many of our nature reserves. 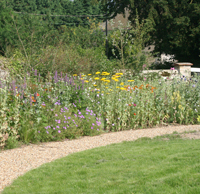 Gardens, then, are one component of a wider spectrum of land management practices and it is becoming increasingly apparent that they do have a benefit for wildlife. 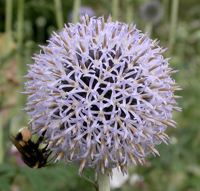 This section of the website explores gardens and their wildlife. As well as providing profiles of the many different species that use our gardens (such as birds, amphibians, reptiles and butterflies), we also touch on some of the other forms of wildlife to be found using our gardens. This section will continue to grow over time. We have started with a few familiar species and will keeping adding to these. You'll also find sections on bird behaviour, disease and ecology that look across groups of species.